Hi everyone and welcome back to our creative WOW space! Raluca here for the first time and I'm so excited to share with you my fun and colorful new card showcasing quite a few of the awesome WOW products! 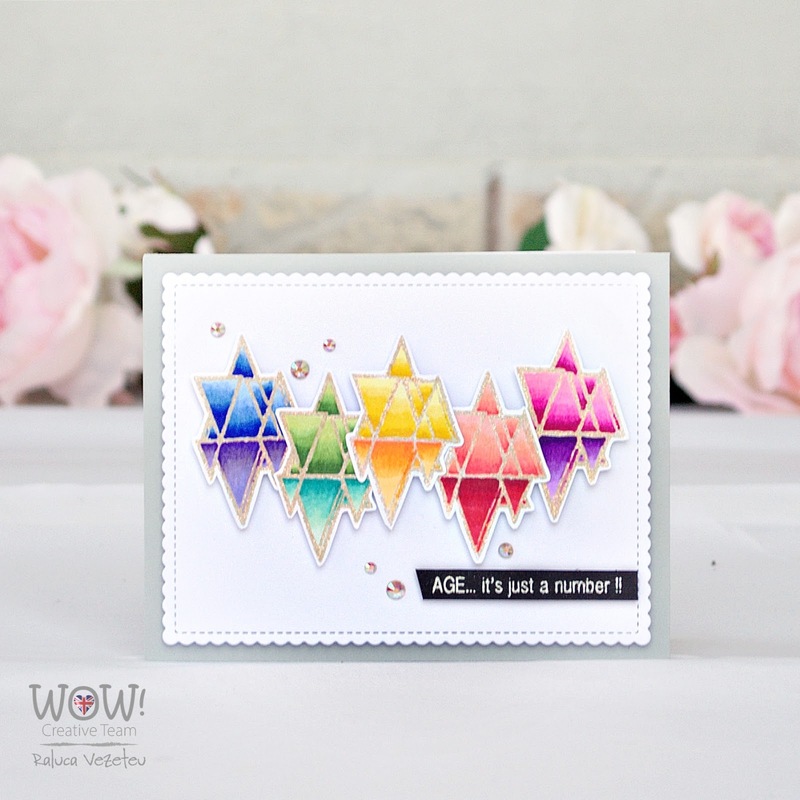 For my card I played with Sparkle & Shine (by Maya Isaksson) - Clear Stamp Set, Young At Heart (by Marion Emberson) - Clear Stamp Set, WS167 Unicorn Magic, WS31 Sparkling Snow and these WOW must have tools WOW! 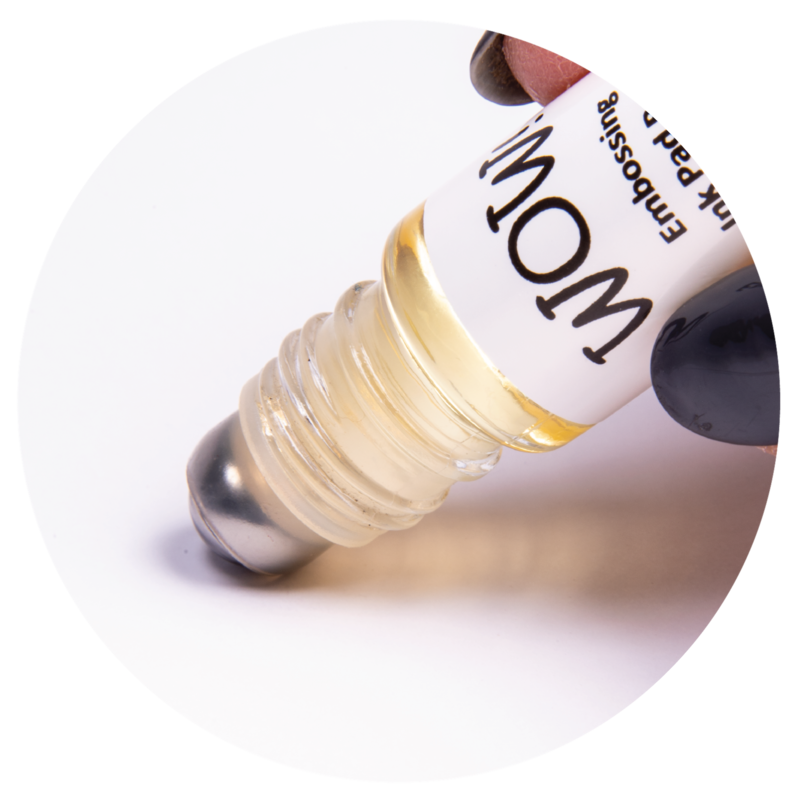 Clear Ultra Slow Drying Embossing Pad, WOW! 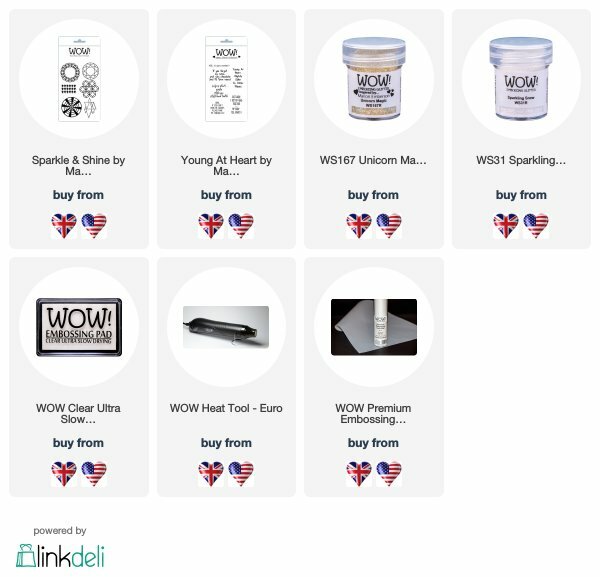 Heat Tool - Euro and WOW! Premium Embossing Craft Mat. On a white panel I stamped multiple times this fun image from the Sparkle & Shine (by Maya Isaksson) - Clear Stamp Set using WOW! Clear Ultra Slow Drying Embossing Pad and I sprinkled and heat embossed the absolutely gorgeous WS167 Unicorn Magic WOW embossing glitter powder. I'm in love with this powder!! It's stunning and so sparkly! 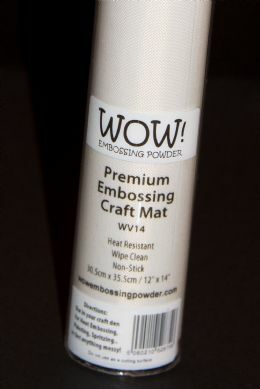 Definitely a must have in your embossing powders collection. After I embossed the images, I colored them using Spectrum Noir markers in a rainbow order and fussy cut them using a sharp pair of scissors. Next I die cut a white panel using the scalloped rectangle die from SugarPea Designs SugarCut – Card Front Element Builder die set and I mounted the images on the panel in rainbow order using craft foam. 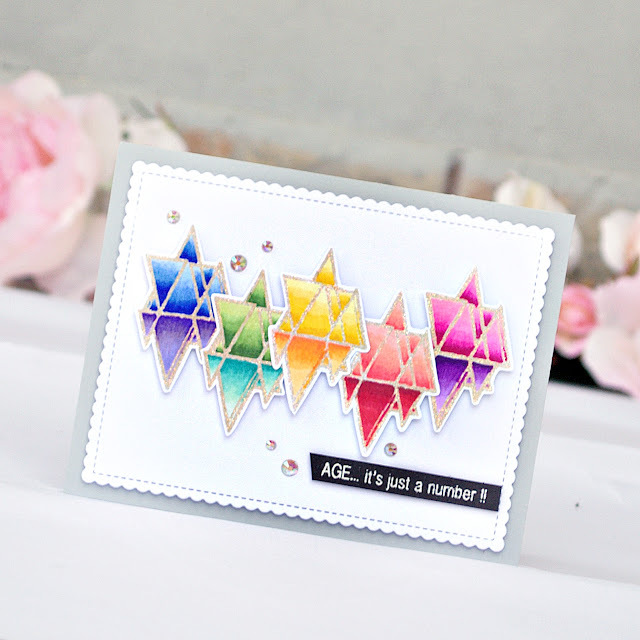 On a black strip of cardstock I heat embossed a sentiment from the Young At Heart (by Marion Emberson) - Clear Stamp Set using another gorgeous embossing glitter powder WS31 Sparkling Snow and mounted it below the rainbow triangles. I mounted the white panel on a light grey card base using foam tape, glued a few holographic jewels and my colorful card was done. 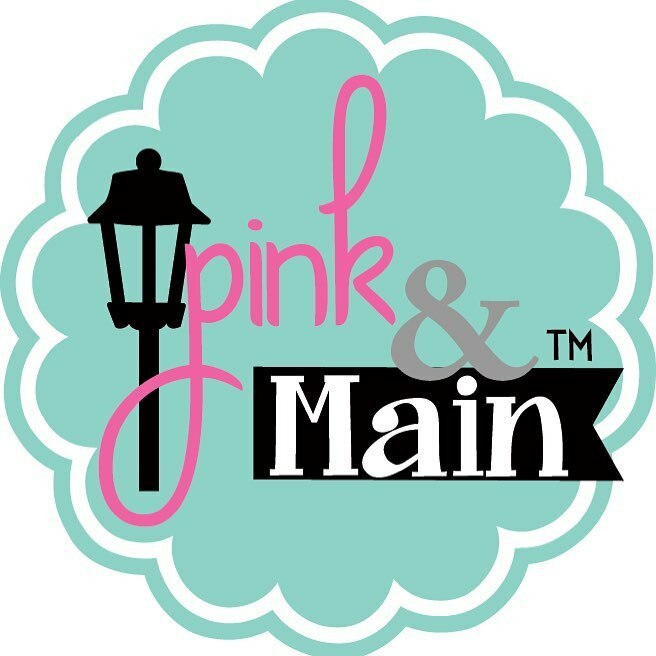 Super easy and so sparkling!! That's all from me today! Have a lovely Sunday! Wow the rainbow colors look wonderful ! !